Leather and textile booties for girls. 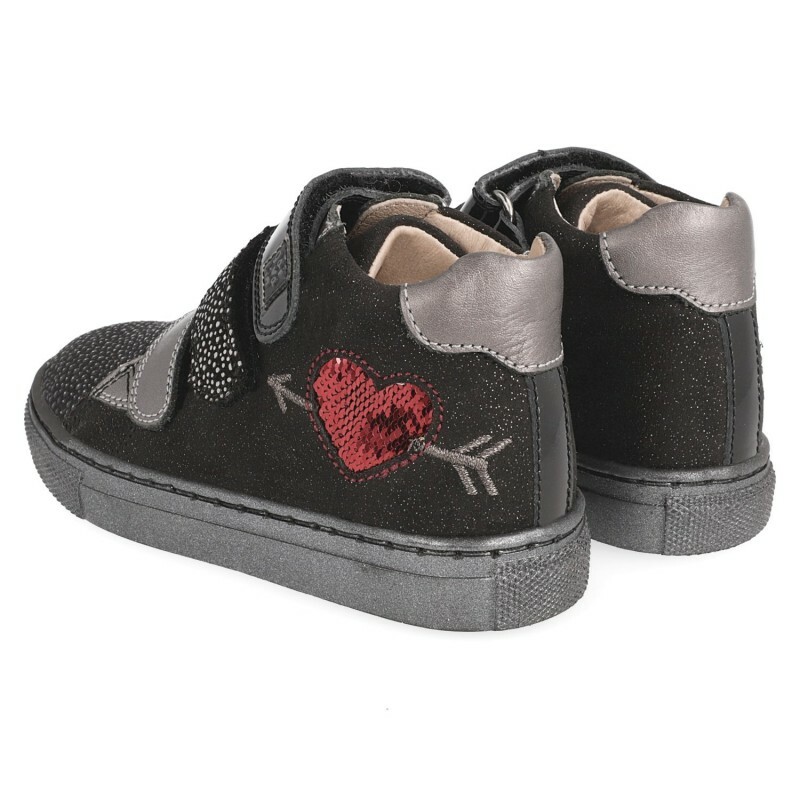 The mixture of textures and colours, and the tiny metallic studs, make this booty a perfect design for the smallest members of the household. It has a flexible sole and triple Velcro closure to give a snug fit to every girl´s foot.